It’s that time of year again for Sephora’s annual sale. Sephora did push up the dates a bit. When you can shop depends on your Sephora Beauty Insider status. The discount applies in US, Canada, and JCPenney. Rouge: Code ROUGEBONUS for 20% off from Oct 26-29 and Nov 2-5. Fine print for Rouge. Insiders: Code BIBONUS for 15% off from Nov 16-19. Anyone can sign up for Insiders. I read that Rouge can use their code during the VIB/Insiders weekends as well. Also, the VIB/Insiders code is one-use only whereas Rouge can place unlimited orders. Sephora has been doing these annual % off sales for the longest. Now, there are other retailers that run similar promotions, however they don’t have all the value sets that Sephora has! Drunk Elephant. In the US, you can buy Drunk Elephant from their own site or Sephora. I quite like Drunk Elephant (old posts). My favorites are the vitamin C serum and the lip balm, then the eye serums, moisturizers, and marula oil. I don’t like the jelly cleanser or SPF. (1) The Trunk 2.0 comes with 10 full size products, a snazzy acrylic case customized to hold the products, and 28% off. 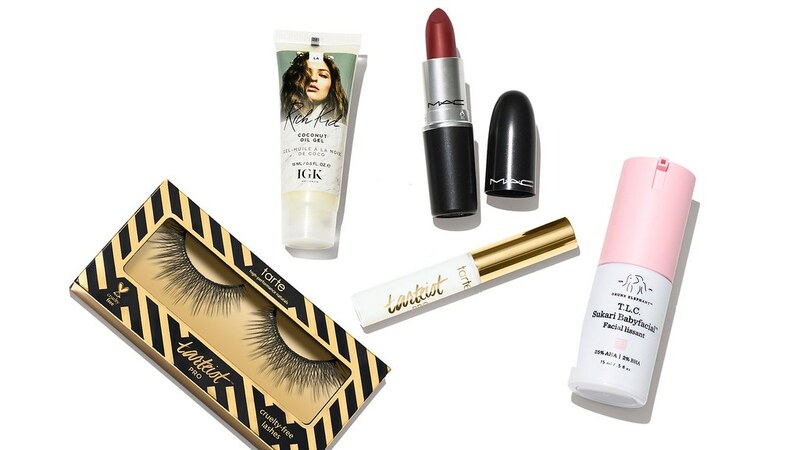 With the Sephora discount, it comes to 42% off. Of course I bought it (with some gift cards I’d been saving). This has since sold out on Sephora, but it’s hard to say whether it will be restocked before the sale ends. It’s also available on Drunk Elephant. Note, it does not include all of DE’s products. Missing: D-Bronzi Anti-Pollution Sunshine Drops, Lala Retro Whipped Cream, Shaba Complex Eye Serum, Umbra Tinte Physical Daily Defense SPF 30, Juju Bar, or Pekee Bar. For the remaining kits, they contain at least one full size product that is priced close to the kit price. It is a no brainer to me. If you’re interested in a beauty box, the Allure Beauty Box has been impressive. I subscribed in December 2017 when I heard of the January spoilers (a full size $85 Sunday Riley serum). They have a good balance of prestige and non-prestige brands. Value-wise, it is easy to pick 1-2 products in the box that exceed the $15/monthly fee*. The box contains a booklet that explains each product and discounts for the full size. You can go month to month, which is what I do. October 2018: 7 products. Sunday Riley x 2, Caudalie, Hourglass mascara, YSL lipgloss, etc. Valued at $86. September 2018: 5 products, 2 were full size. Drunk Elephant Babyfacial, full size MAC lipstick, Tarte x 2, IGK, etc. Valued at $66. August 2018: 6 products, 2 were full size. Laneige, Caudalie, Eyeko, etc. Valued at $69. July 2018: 8 products, 1 was full size. Olay, Ouai, Sunday Riley, etc. Valued at $110. June 2018: 5 products, 3 were full size. Kat Von D and Ole Henricksen. Valued at $69. Like many other Asians, my skin is prone to hyperpigmentation, freckles, sun spots, etc. It’s not just about sun exposure, it’s also about temperature. I regularly use brightening products to keep the spots at bay. 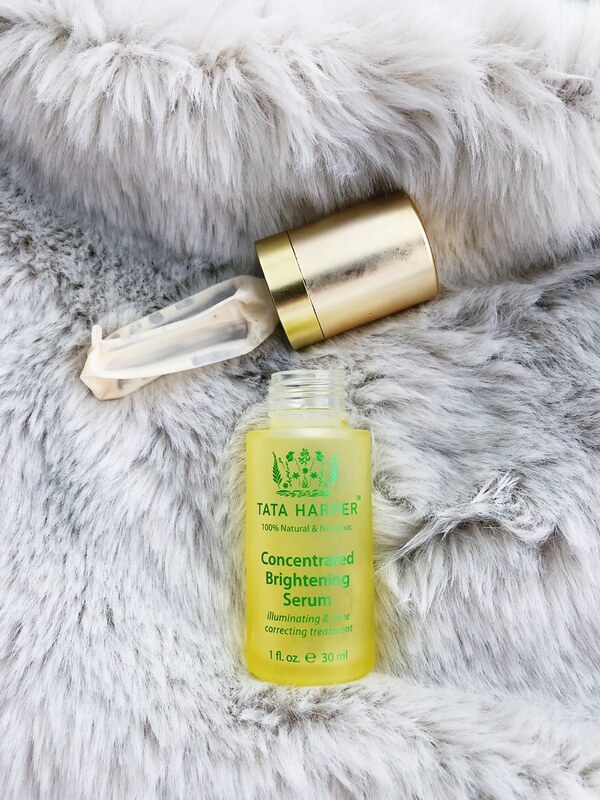 Tata Harper is an American natural beauty brand and I love the concept of clean, natural beauty, but it’s pretty expensive. Products in green colored packaging are her standard line (previously mentioned). Products in yellow colored packaging are pricier and not sold as pervasively as the green line, but has a wider distribution than it used to. What’s In It? I don’t really read ingredients as my skin is not sensitive, but I looked for reviews (there weren’t that many useful ones). I regularly use Tata products and know that she would never put silicones into her products. From her website: A blend of targeted technology takes a triple-action approach to fighting and minimizing the appearance of dark spots. Brassica Napus and Sea Fern Extract helps to minimize the appearance of dark spots. Colorless Carotenoids help prevent the appearance of dark spots, and Norwegian Kelp boosts glow and helps reduce the look of dark spots. Texture: It has a consistency of a light lotion unlike what you think of as a serum. For the summer, I used it with the True Botanicals Vitamin C Booster powder mixed in. It mixed really well. I use it after any liquid products, like the Sulwhasoo First Care Activating Serum and Water. Even in the hot summer days, it never felt heavy. Smell: Nothing memorable. I think it smells floral/natural? How Long It Lasts: I used about 1-2 pumps in the morning. I don’t remember when I started using it (I hate breaking into expensive products and sometimes do it slowly), but I would guess late winter through early October. That’s over half a year for the 1 fl oz and there was a scant amount left after the pump stopped working. Does It Work? Yes, it does brighten. I noticed it one day after a month of almost daily usage. I have some old, dark spots that didn’t budge, not that I expected them to. Packaging: Externally, Tata’s products are 5 stars. Internally, it’s also 5 stars. The airless pump works perfectly to deposit the right amount and to keep it hygienic. Glass bottle bottom, but not a deterrent for traveling light. Pricing: Tata Harper is by no means budget-friendly. Let alone the yellow line. I got it for 30% off (US sales tax included in calculation) by purchasing it from the UK site Cult Beauty during their 20% off Black Friday sale stacked with cashback from another site. Also, there was a very nice Tata Harper gift with purchase, which I placed value on. Purchasing from Cult Beauty means that VAT is removed for US orders and you are also not charged duty tax. Note on Cult Beauty: I think they send US-bound packages in bulk from the UK to a US third party, aircitypost, which then mails it out. It took 5 weeks(!) for me to get my package. Aircitypost messed up my address (what happened to copy and paste?). Cult Beauty service was 3 stars out of 5. My order also came with a time sensitive coupon. Needless to say, I didn’t shop from them again, but may consider it in the future. Also, the plastic on the inside of the glass container has been warped since I got it – mystery solved after I pulled the top off of the empty bottle. Would I Buy It Again? Maybe, but I rather try other products first. There are so many. Huxley is a mid-range Korean brand. I first heard of Huxley on Glow Recipe, but pretty much everything on that site can be found for a cheaper price elsewhere. This is called an essence, but I treat it like a serum. The terms essence, ampoule, serum, and water can be confuing. I layer from light to heavy texture. What’s In It? 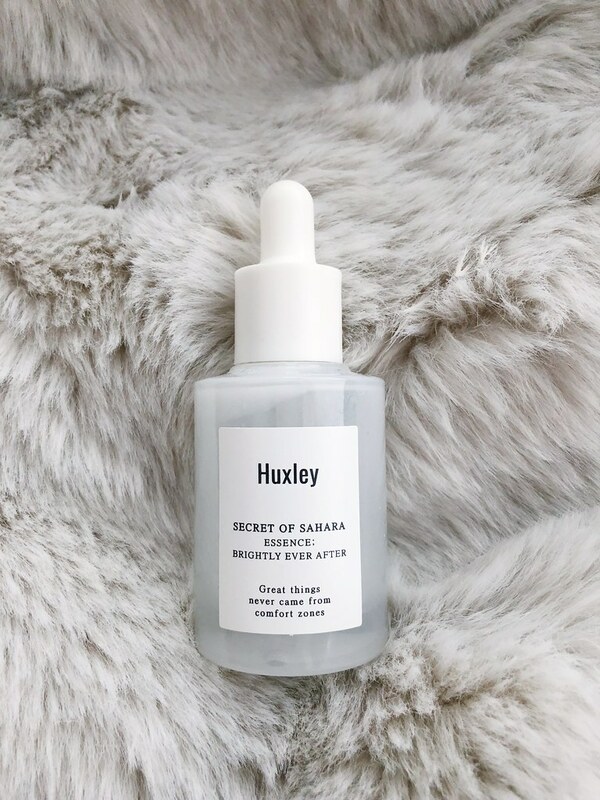 From Glow Recipe: Huxley’s star ingredient, the antioxidant-rich Prickly Pear Cactus Seed, is still present in the new line to protect and strengthen skin, while new players such as Niacinamide and Mulberry work overtime to supercharge and brighten the complexion. Even better, the milky texture quickly absorbs (seriously, so quickly) to keep your skin slick-free and ready for your moisturizer. It also has glutathione, bisabol, and silicone but I can’t tell for the latter. Texture: It is heavier than water, but very runny. It’s strange to put an essence in a serum bottle, but this is when the strict definitions of Asian skincare items don’t apply. It spreads and absorbs easily. I also mixed the True Botanicals powder above with this one. It works better with a heavier formula, so I don’t recommend it. Smell: All of their products have a clean, cactus smell. I love it. How Long It Lasts: It lasted a while because I didn’t use it consistently. It got to a point where I was determined to finish it, so left it on my vanity to force myself to use it. Does It Work? It makes my skin feel moisturized and there is some brightening effect, but nothing drastic. It is very easy to layer, despite the silicone ingredient. Packaging: Huxley uses the same dropper bottle for other essences. The dropper bottle works better than it does on the Oil Essence, but the last bits get stuck and you have to shake it out. Overall, all their products have glass packaging that has a solid feel. Pricing: Retails for $58 in the US, I got it for $20 + intl shipping from SweetCorea in Korea. I think it’s great for the latter price. Would I Buy It Again? Maybe, for the same reason as above. I want to try other products. It’s well known amongst friends that I’m a bit excessive with beauty products (moreso skincare than cosmetics). I love minis and freebies. Especially high-end ones like Barneys, where it’s hard to find samples for many of these brands. 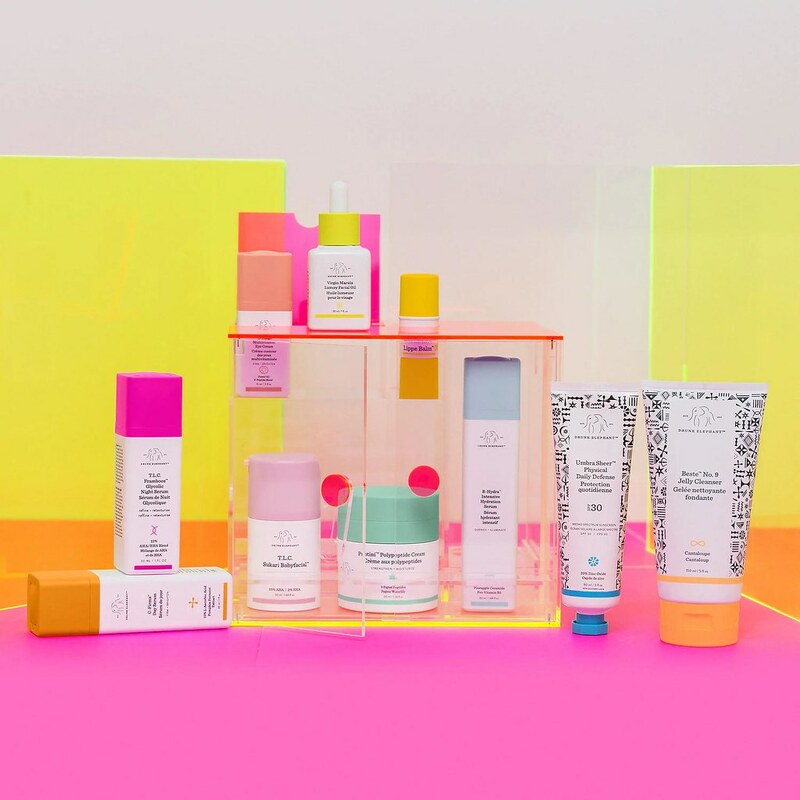 I normally wouldn’t post this because I’m a slow updater, but Barneys seems to have extended their September 5-9 semi-annual Love Yourself beauty event for a few weekends now. 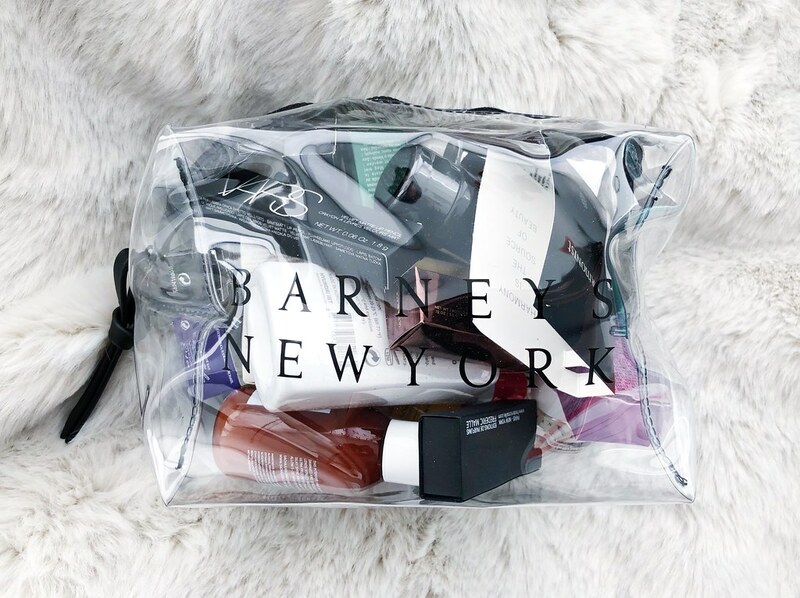 Spend $200 and you get a big bag of high-end cosmetics, skincare, haircare, and fragrance deluxe samples. (A few days ago their spend x and get y gift card promo ended.) Pre-order items don’t count. 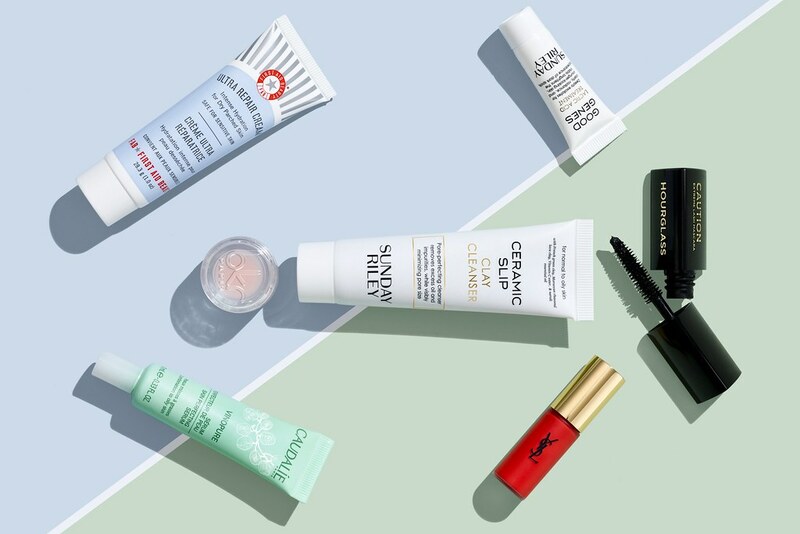 They have a nice curation of brands, including niche ones like True Botanicals (my favorites are out of stock), Surratt Beauty (my current eyelash curler), Hanacure (this is on deck for me), their own value beauty boxes, Peach & Lily masks (great for fillers), Shu Uemura Art of Hair, etc. They also have more mainstream brands like Tatcha, Chanel, etc. I think the Barneys gifts with purchase are nicer than Space NK. And for those living in the NYC area, Barneys’ warehouse is in NJ; you get your order within a day or two! I periodically go through my stash and either give away or sell anything I don’t use or like. This includes samples. While $200 is a high threshold, I was able to find some items that are easy to sell to meet the threshold. My friend recently went to Seoul. She asked if I needed anything, so I started looking into Sulwhasoo products. Even though I just came back from Asia myself. I discovered that Sulwhasoo has a limited edition First Care Activating Serum EX (FCAS) in a plum blossom scent 윤조에센스매화지향 (different than having limited edition packaging) and I was sold. However, it’s pretty hard to find, not sold at Lotte duty free, and wasn’t released in the U.S. eBay prices were totally hiked up, so off to Korean sites I went. Sulwhasoo Research: I previously avoided the FCAS since it has a lot of alcohol, but was convinced after reading reviews online — Fifty Shades of Snail loves the FCAS and many other Sulwhasoo products, and there is this mega post from the Asianbeauty subreddit on Sulwhasoo (which I have copied into Word and notated). I don’t write off alcohol completely but leave it to those with more expertise to do the analysis.